Saturday, December 25, 1982—nice day, -20° all day. Sylvia gave me socks for Christmas. We went to Hoffman’s for dinner. Rhynell’s husband Ken was there, also Charlie T., Tom and Lisa Smayda, and Dr. Mike and girlfriend. Judy, their dog, is in heat and Mike, our dog, got loose. Called Nadia. Sunday, December 26, 1982—warm, 0° to -10°. Ran the Slide Mountain line, nothing. Got gear ready for trap cabin line. Did chores and worked on Henry’s Ski-Doo. Called Paul and Ruth. Monday, December 27, 1982—called Theresa and Beverly. Went to Jay and Jan’s, parked truck. Took Ski-Doo to Darrel’s, then on to trapline. Caribou messed up the rat sets at pushups. Got one mink. Picked up the sled. Looked at some line here. 30°, wind blew snow off trees. Tuesday, December 28, 1982—40°. Slept late, ran line here, nothing. Got things ready for tomorrow. Skinned and stretched mink. Wednesday, December 29, 1982—40° today. Made seven sets on the way out to the road. Got two rats. Visited Darrel and got home just at dark. Mike, the dog, is sick. 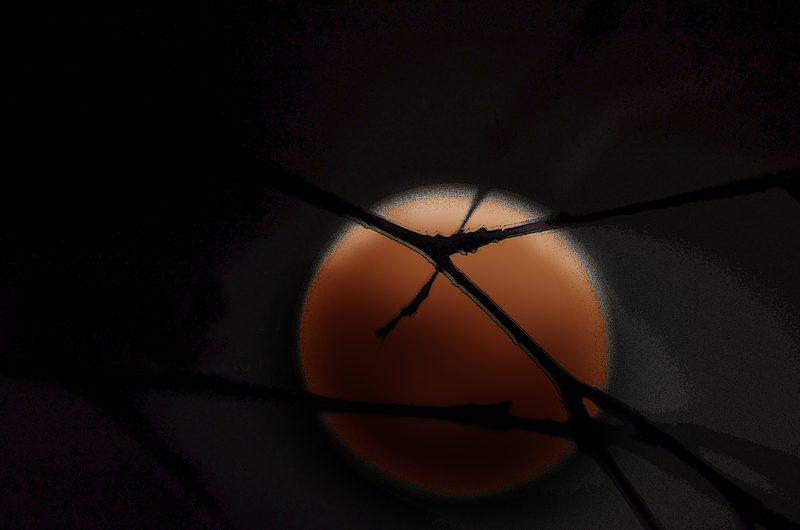 Thursday, December 30, 1982—fantastic total lunar eclipse at 1:30 a.m., very beautiful with binoculars. Northern lights running all over sky. Friday, December 31, 1982—nice day, 0° to 10°. Skinned the two rats (muskrats). Danny C. and Blake stopped in. Ran trapline and moved a fox set, didn’t get anything. Henry stopped in. This entry was posted in Journal Entry and tagged Christmas, Northern Lights, total lunar eclipse. Bookmark the permalink.